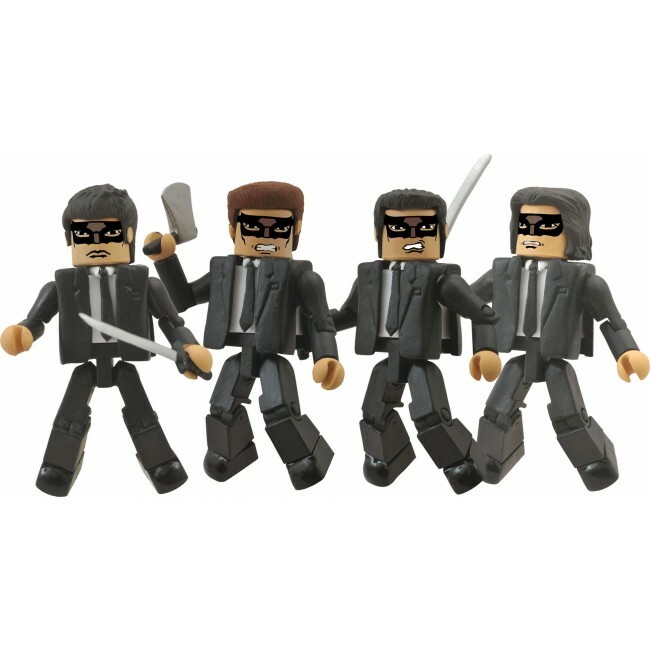 Get four different Crazy 88 gang members from Quentin Tarentino's cult favorite Kill Bill in this new Minimates box set. Each 2-inch Minimate figure features interchangeable parts and accessories. Mix and match parts to create different fighters and recreate all the carnage of the beloved cult classic! Packaged on a full-color blister card.